Such a poor, neglected blog! Yet, I think of it everyday. Everyday as I'm juggling care of Roa and Gunnar. Making sure both of their needs are being met. Breathing deep that I am "doing my best" keeping up with the boys, the housework, the laundry, the appointment schedules. Also, using my limited "me time" to write for EasyStand blog. So please, Check me out there! Become a fan of EasyStand. Rojo's Journey blog doesn't pay and EasyStand does. The choice in the money-sucking Land of CP is an obvious one. 1) Roa's powerchair is in and will be delivered to the school this Thursday. The great staff of Handi Medical will give us a detailed course of demos, how-to's, and what's that's. 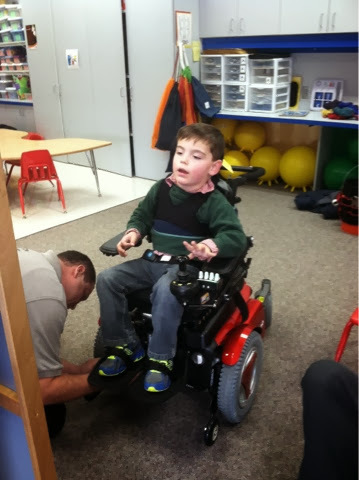 We are very excited to give Roa ample time to play around with his new Permobil at the Early Childhood setting so that come Kindergarten, he will literally be on a roll! 2) Our house is beginning to be built! The frigid temps here are making it slow going but the foundation should be complete this week! We have been busy with appointments settling details of electrical outings, lighting fixtures, cabinets,.... etc. 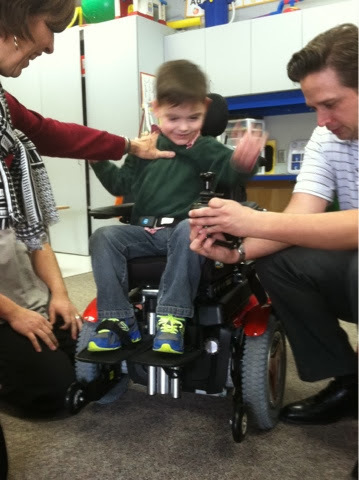 3) Roa continues to break from other traditional therapies outside of school based Sp/L, OT, and PT as we focus on his MNRI(Masgutova Method) home program. We have Lori Burgess, certified MNRI therapist coming twice per week to our tiny townhouse for direct therapy. 4) Roa is mimicking more speech sounds, phrases and words. These come easiest during play with mom and Gunnar at home. Exciting communication with phrases like, "Gun, whereareyou? ", "Hello, my Roa" (with his play phone) "etsgoout". *** I type these all together because it is slurred soft speech YET speech non the less! 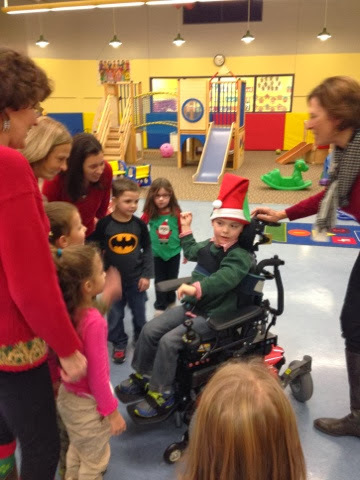 5)Roa did another trial at school this time, with the Dynavox Maestro with eye gaze. Once again, pretty exciting to have him look at photos that "speak for him". Details to follow as I haven't discussed the therapist's opinion on the outcome of the trial. 6) Trials with the Ormesa Grillo gait trainer are occurring currently! This GT is pretty cool- heightens and lowers for sit to stand effect, lighter weight, ALL TERRAIN wheels!! We can't wait to get that ordered and moving! 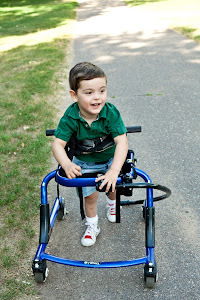 7) Crawling to the chair or couch, with support, and pulling up to stand or climb is a favorite lately. However, he is heavy and still coordinating those lanky arms and legs!! We battle on! 8) Roa is FINALLLLLY accepted for Medical Assistance through the TEFRA program with parental fee we have to pay monthly. It took many months of being passed around from worker to program to county to state, but we finally think we got a responsible fee and some form of support. 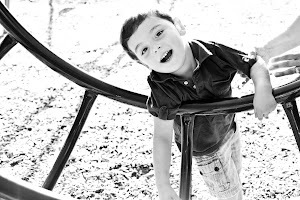 Roa's physical needs qualify for 10 HOURS PER DAY of PCA/respite time funded through the TEFRA program! Wow! Yet his cognitive abilities will not allow for a Developmental Disabilities Coordinator/Case manager. Crazy government rules!!!! So we sort, call, wait, and move through the maze as best we can as parents of the smart, but immobile King Rojo.